Going away? Don’t forget your Pet’s Passport! If you want to travel abroad, you need to take a passport - to identify you, and confirm that you have the right to travel. The same goes for your pet - if you want to take them abroad, they need a Pet Passport, or they won’t be allowed back into the UK at the end of the holiday! Why do animals need a Pet Passport? Essentially, to minimise the risk that they will bring dangerous infectious diseases into the UK. At the moment, the Pet Passport Scheme is focused primarily on preventing the entry of Rabies and the tapeworm Echinococcus multilocularis. Rabies spreads easily in saliva from carnivores (e.g. dogs or cats) to other animals (especially humans), and although there is a human vaccine, once symptoms appear, the disease is virtually 100% fatal. 50,000 people die each year from rabies - we are lucky not to have it in the UK, especially as it’s a really nasty and gruesome death. In all of medical history, only three people are known to have survived clinical infection - so it isn’t worth the risk. The Echinococcus tapeworm lives in dogs as an adult, but the larval worms can cause enormous fluid-filled cysts in humans; this can result in anaphylactic shock and death if a cyst ruptures. We do not currently have this species of worm in the UK, and we don’t want it! Dogs, cats and ferrets all need a Pet Passport if they are to return to the UK - and they may need one to enter some other countries. There are no restrictions on bringing pet rabbits, rodents or birds into the UK from an EU country, although you will usually need an import license and to go through quarantine if you’re trying to bring in a bunny or a rat from a non-EU country. What happens if they don’t have one, or there’s something wrong? Then your pet will have to spend time (usually 4 months) in a quarantine kennels or cattery, at your expense. Only once that time has elapsed, and it is clear that they are rabies-free, will they be released to rejoin you. The only other alternatives are to send them back the the country they’ve just come from, or have them put to sleep. So, it’s really important to make sure your documents, vaccines and treatments are properly up to date! What do I need to do to make sure the passport is valid? A Pet Passport is basically a certificate to say that the animal has been vaccinated against rabies, and treated for tapeworms. It must be possible to identify the dog, cat or ferret exactly, so they must have a microchip implanted, and the ID number recorded in the passport. Once that is done, they can have a rabies injection - they are considered to be protected from 21 days after the injection, so if you attempt to re-enter the UK less than three weeks after the jab, your pet will have to go into quarantine. Fortunately, blood-tests for rabies antibodies (to check that the vaccine has worked) are no longer required within the EU and certain other (“listed”) countries, although you may still need one if you are travelling further afield. Within the EU or EEA, not normally. However, some countries (mainly outside the EEA) may require health certificates before your pet will be allowed to enter. For example, Australia is very strict on this, and may require a wide range of blood tests and certificates. For other countries, returning to the UK is more of an issue - for example, bringing a dog or cat into the UK from Malaysia, or a cat from Australia, require blood tests to demonstrate that they are free of certain viruses. 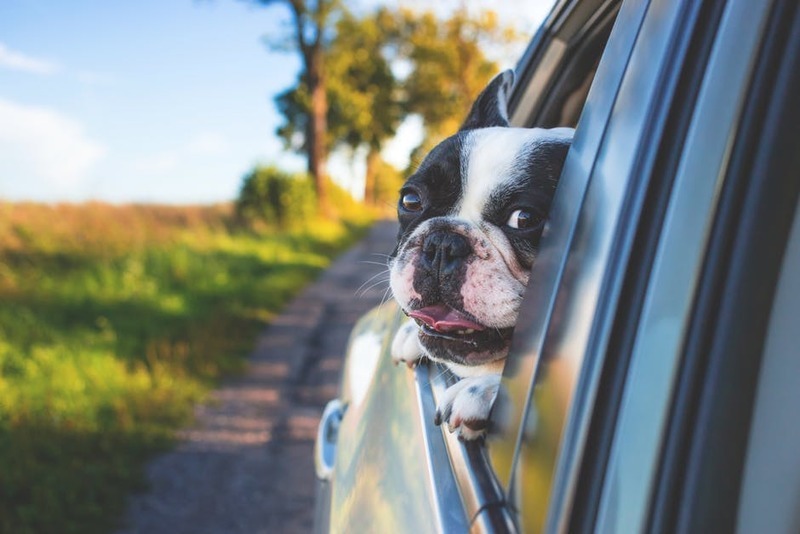 In addition, it is usually illegal to transport an animal of any species if they are ill or lame, so if they have a long-term health problem, you may need one of our vets to certify that they are legally fit to travel. It is a legal requirement for all dogs, cats or ferrets returning to the UK to have been treated for tapeworms between one and five days before coming back. This will need to be administered by a local vet in the country you’re visiting, who will then certify that they have done so in your Pet Passport. Failure to do so may, again, result in a quarantine hold. Although it is not strictly a legal matter, we very, very strongly recommend using powerful tick, sandfly and mosquito treatments on your animal when in hot climates (e.g. southern Europe). This is to control the spread of certain very nasty infections (e.g. Leishmania, or Heartworm) that are transmitted by these blood-sucking parasites. Make sure you talk to one of our vets for advice - there are a range of prescription-strength products that we can prescribe and supply that will maximise your pet’s safety! Come in and ask us! Almost all of our vets have OV (“Official Veterinarian”) status, and will be happy to answer any other questions you might have. They can also advise you on keeping your pet safe and happy while on holiday. Happy Holidays, and Bon voyage!